By Valentina Zezelj on 1. March 2018. Switching to a new affiliate tracking software is a big decision for any network, especially one that is already well-established and has a lot of partners to manage. That is why we are very excited to have IMOCASH, one of the fastest growing networks in the industry, as our new partner. Find out why IMOCASH chose Affiliate Software as their tracking platform and what their plans for the future are. IMOCASH moved to AdCumulus eight months ago. How do you like it so far? IMOCASH: We are happy with our decision because we have received a lot of support from the AdCumulus team in importing all the offers and affiliates. I was quite worried about the migration. But, in the end, your support team did most of the job. What’s your resumé for 2017? IMOCASH: The whole industry is changing. We have increased our volume, so the deal we have with AdCumulus helps us stay competitive in our relevant markets. Our market position is stronger now because we have focused on simplifying the workflow. Which difficulties did you face during the past year? IMOCASH: The markets are changing due to increasing regulations on the governmental side. Also, there is a significant rise of fraudulent traffic within the industry. We are constantly working hard on improving our fraud protection and AdCumulus is helping us in this segment. Together, we are constantly working to optimize our traffic to fit the needs of our advertisers. What are your plans for 2018? Which vertical are you focusing on? 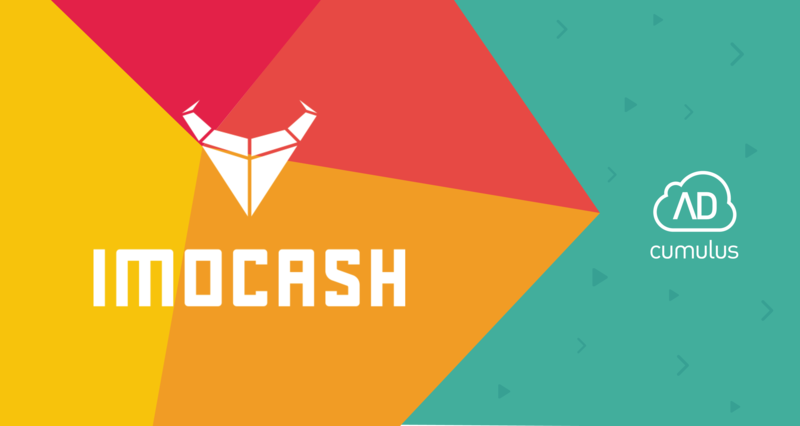 IMOCASH: We’re focusing on new verticals. Currently, one big topic for us is eCommerce. Mobile content offers are still one of our biggest cash cows. But we are shifting ”The Account-Manager“ to new verticals. Because, what we observe is that the mobile markets aren’t growing anymore. Actually, we see a big consolidation in this section. Therefore, we have changed our main focus to exclusive offers. Offering product-specific affiliate marketing and new geo-strategic markets. What are your challenges in approaching those plans? IMOCASH: Our tracking solution is based on our core-vertical – “mobile content offers”. To cover all eCommerce relevant processes, we need to adjust our tracking tool to guarantee the same simple handling we usually offer our customers and affiliates. To achieve this goal, we face certain challenges. One is that most tracking solutions in this vertical are technically not yet up to the standards used in mobile segments. But we see a great opportunity to boost this vertical with our knowledge and AdCumulus technology, and help to scale it up faster. Are you planning to start with programmatic media-buying? IMOCASH: AdCumulus has a great solution for programmatic activities. Our internal media-buying department has been testing it and already works on the implementation. We’ve chosen AdCumulus programmatic solution for our new eCommerce activities. I believe that programmatic media-buying can be key to retrieve quality traffic. How could we improve Affiliate Software to increase competitiveness on the market? IMOCASH: We need to improve the fraud protection- and blacklisting functions within the system. Furthermore, AdCumulus rapidly needs to advance to replicating eCommerce offers, so that we can handle product feeds via the tracking tool. With this done, I’d move on to implementing options to assist on API integration with big shop-solutions and advertisers. And what does AdCumulus team say? Having IMOCASH as our partner once again proves that we are on the right track and encourages us to push the limits of modern tracking technology even further. We are very happy to have them on our team and confident that Affiliate Software will help them reach their goals soon. In the meantime, we’ll continue to work together as partners to make the platform even more powerful. These continuous efforts will help get IMOCASH, and all our partners, exactly where they want to be. Integrating our tracking platform with programmatic technology was only one of many steps we plan to take this year to help our clients make their marketing more efficient than ever. After all, Affiliate Software has always been and always will be all about marketers.